"The CANAM-10 is another example of our commitment to the powersports category," said National Sales Manager, Jason Fickas. 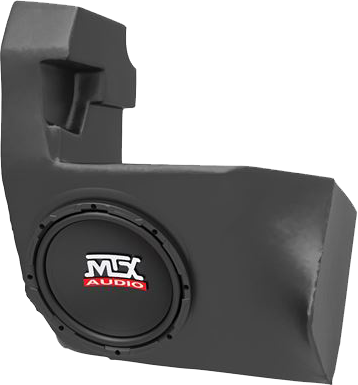 "Our engineers have done a great job designing and developing these subwoofer enclosures which deliver the bass that every rider says is missing from their systems. Keeping the enclosures out of harms, way while not giving up any usable space, is really important to our customers and having the amplifier built in makes it easier to install and enjoy." The CANAM-10 amplified subwoofer enclosure installs in about 30 minutes including the remote bass control. No cutting or drilling is required, the enclosure is hidden behind and protected by the dash.